There are spirits older than gin, and spirits more expensive and complex, but none has such a rich and colourful history. Discover classic brands that reflect centuries of heritage and tradition. Plymouth gin is a unique, protected style originating in Plymouth, where it has been distilled since 1793 at the historic Black Friars Distillery. Made with seven botanicals, its distinctive, slightly sweet taste is created by avoiding an excess of bitter botanicals. Try it in a Gimlet:1. Fill a mixing glass with ice. Pour in 75ml Plymouth Gin and 25ml Rose's Lime Cordial, and add chilled water if desired. Stir well and strain into a martini glass. Garnish with a wedge of lime. Smooth, delicately floral, single-batch distilled gin made with lemon and lime oil, among other botanicals, then blended with Icelandic spring water and a small amount of cucumber. A zesty gin with soft juniper and citrus. 2. Fill a tall glass with crushed ice. Add 50ml Gordon's London Dry Gin, 100ml cranberry juice and 50ml ginger ale. Garnish with a wedge of orange and a sprig of mint. No.3 London Dry Gin is produced by Berry Bros & Rudd, London's oldest wine and spirit merchant which holds Royal Warrants for HM The Queen and HRH The Prince of Wales. Three fruits and three spices distilled in copper pot stills flavour this juniper-led gin, including sweet Spanish orange peel for a crisp citrus freshness, angelica root for an earthy note, and cardamom for a warm spiciness. Try it in a No.3 & T:Fill a highball glass with ice. Squeeze over a wedge of lemon and drop into the glass. Measure in 50ml No.3 Gin, top with tonic, stir and serve. For a twist, replace the lemon wedge with a slice of grapefruit. Handcrafted in small batches, this fresh gin takes its name from Tiny Ten, the nickname given to the copper pot still in which it is quadruple- distilled. Crafted with the perfect Martini in mind, with juniper, grapefruit and camomile flowers, this smooth gin is a favourite ingredient among bartenders. 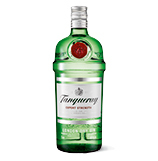 Try it in a Martini:Stir 60ml Tanqueray No. Ten Gin and 2-4 dashes vermouth. Strain into a chilled martini glass and garnish with a grapefruit peel twist or an olive. We have Alexander Gordon to thank for one of the spirit world's icons. He founded his distillery in Southwark, London, in 1769. Juniper berries, citrus and other (secret) herbs and spices deliver a crisp taste and fragrant aroma. Try it in a Ruby Cooler: Fill a tall glass with crushed ice. Add 50ml Gordon's London Dry Gin, 100ml cranberry juice and 50ml ginger ale. Garnish with a wedge of orange and a sprig of mint. Created by James Burrough in 1820 and still working to a recipe that has hardly changed since, Beefeater Gin continues to be produced in its south London distillery, under the watchful eye of master distiller Desmond Payne. It features the original Victorian pot stills and a botanical room, where the fresh ingredients are kept, among them wild juniper berries from Italy, Serbia and Macedonia, coriander seeds from Romania, Russia and Bulgaria, and Sicilian lemon peel. Perfect served in a classic gin and tonic with a slice of lemon. Try it in a Royal Spring Fizz:Fill a highball glass to the brim with ice cubes. Squeeze over 2 lime wedges and drop into the glass. Add 60ml Beefeater Gin, 120ml cloudy apple juice, 3 tsp elderflower cordial and 60ml Champagne. Stir well. Garnish with mint and slices of apple. 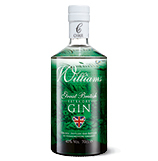 This smooth-tasting sipping gin uses eight botanicals including basil, lavender, kar lime leaves and sage. The `bouquet garni' distillation method infuses their essential oils for 48 hours for the full flavour hit. Try it in a Basil Smash:Muddle 1 small bunch basil and ½ lime in the bottom of a shaker. Add 20ml simple syrup and 50ml Berkeley Square Gin and shake with ice. Strain into a chilled martini glass. Garnish with lime and a basil sprig. family farm into award-winning spirits. 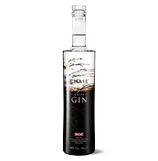 Made using Chase Vodka and 10 botanicals for a crisp dry gin with citrus, juniper and dark chocolate notes. Also from Chase, this gin starts life as cider apples from the family farm. first distilled in 1830 in London's Bloomsbury by Charles Tanqueray, who swapped the church for the still. Subtle citrus fruit and intense botanicals give a flavoursome style. A faithful recreation of the `Old Tom' recipe (huge in the 1700s), which is enjoying something of a revival. 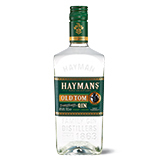 Full-flavoured and lightly sweetened (unlike other gins), it's the key ingredient in classic cocktails such as the Tom Collins.